I still think this is a decent drama and if you have some time on your hands, you should watch it! I just have a few comments WHICH YOU SHOULD DEFINITELY NOT READ IF YOU HAVE NOT STARTED ON THIS DRAMA. I have a few conjectures at the moment. 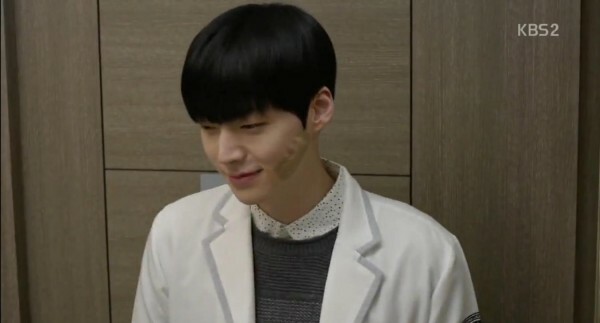 Maybe Episode 9 and 10 have already proven me wrong, but I thought that I should just write these thoughts down anyway - guessing is always part of the fun in watching dramas! CONJECTURE #1: Love is the way to become 'human-like'. When Ri Ta holds Ji Sung's hands, he calms down (alternatively, gets distracted) almost immediately. Similarly, his mother is the only one who did not have human blood before. This could be out of the idea of 'love', since his parents were the only two infected people who married and had a child. Possibly nice and heartwarming touch to the story, but if done wrongly, this could be SO CLICHE. I'm hoping that it will be the first. CONJECTURE #2: Mysterious girl learning all about Ji Sung here in this scene is the girl (what's her name) as a first-year doctor. She's so harmless right now, that she might just be the opposite in reality. BONUS - I love this scene!! 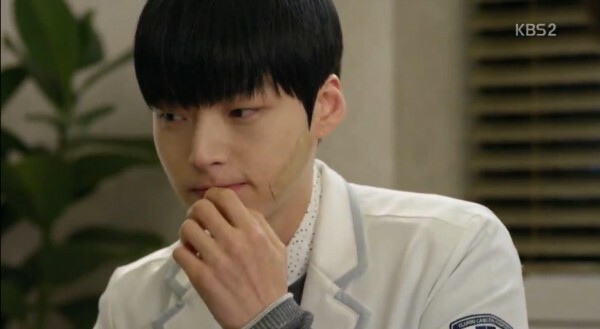 Rita trying to tell Ji Sung about the time she was saved from a pack of wild dogs by a vampire i.e when he saved her. "I think there were 10 dogs-" "Isn't..isn't that too many?" "He jumped 30 metres into the air--" "...I think it was 5 metres?" "No! Just listen okay!" He listens quite obediently until Rita says that she remembered the boy kissing her cheek and saying she was very pretty. 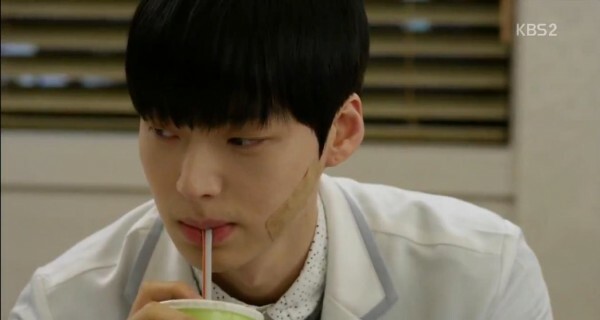 You are so egoistical HAHAH and watch Ji Sung spit out the juice he is drinking and shyly touches his lips.